You know how important it is to close sellers and buyers on working with you. If you can't close the customer, then you won't have the customer. 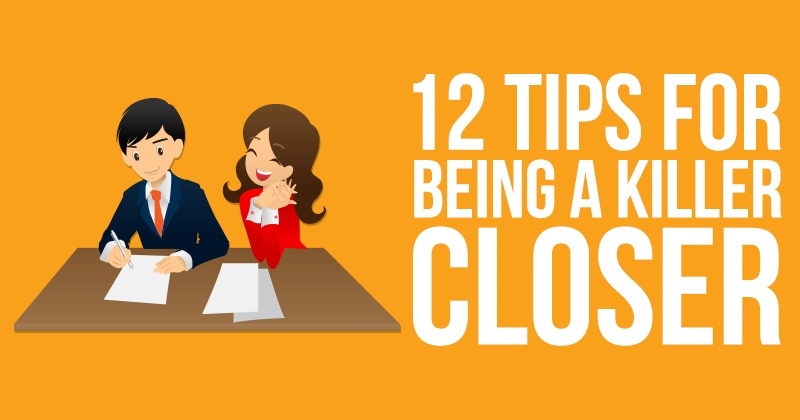 Here are twelve tips that will help you become a killer closer and grow your business. 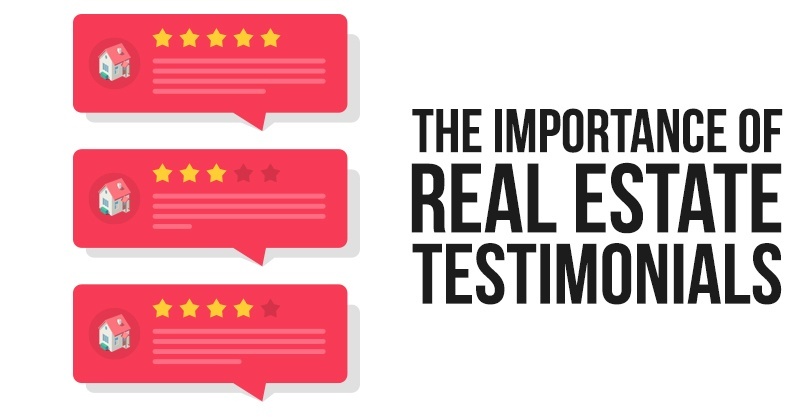 To be a great real estate agent, you need to understand how people think. Having a basic understanding of psychology can give you an edge. 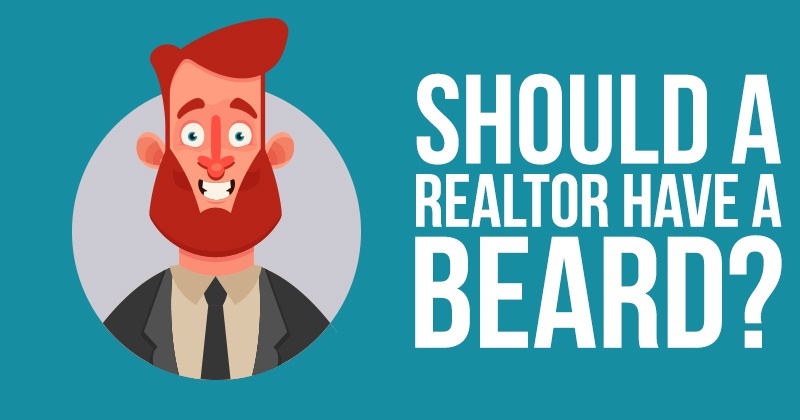 It can help you read potential buyers and understand their concerns. Psychology can also help you to know what to say and when to say it. That said, you don’t need to be a Ph.D. in psychology to know how to speak to buyers. Focus more on buyer psychology and the emotions that come with buying a new home. 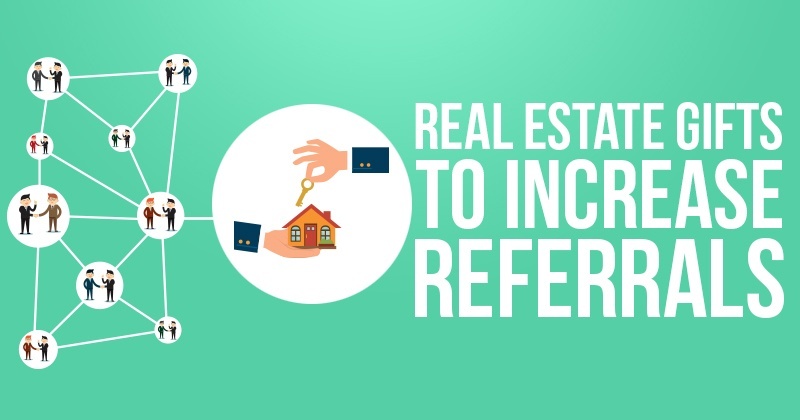 This will help you empathize with the buyer and give you an advantage in the selling process. 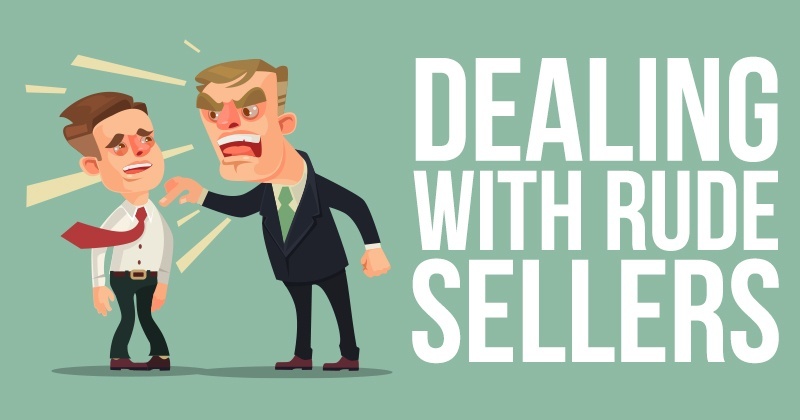 When a potential buyer doesn’t like something, you can soften his stance by turning his complaint into an opinion. After all, personal preference is an opinion. Let’s assume that a potential buyer doesn’t like the living space of a home. He complains that it’s too small for him to entertain guests. The next time you show him space, say, “In your opinion, this space is too small to host a gathering?” Using this phrasing makes the buyer recognize that his belief is only an opinion. And if he answers yes, it gives you an opportunity to tell your side of the story. You can explain why, in your own opinion, it is large enough. With this tactic, you can change a buyer’s opinion without seeming too pushy. When you believe that you have a buyer ready to pull the trigger, things can take a bad turn. Sometimes, a buyer asks for concession after concession. Here’s an example. The buyer wants the current homeowner to redo the floors of the home. Ask the buyer, “If I can get him to agree to this, will you buy the house?” It puts the buyer on the spot and forces him to make a decision. And, it closes the floor to any other negotiations. Known as an assumptive close, this closing technique assumes that the buyer will buy the home. It’s about the way you word things. Say something like, “I’ll draw up the papers for tomorrow,” or another statement that makes it sound as if the decision is done. The buyer may go along with it. Timing is everything with this technique. When you think your buyer is ready but has a few minor details holding her back, don’t let her stall. Instead, make it seem like she’s already made the decision to buy. In the real estate industry, a little confidence goes a long way. Approach every deal with an air of confidence. If you doubt yourself or your buyer, it could put the deal in jeopardy. One great way to keep your confidence up is to use positive affirmations. When you’re out and about, keep a list of positive affirmations handy. If you doubt your abilities, read them to yourself. The art of negotiating doesn’t come naturally. It takes practice and a willingness to learn. But once you’ve mastered negotiating skills, closing houses can become easy. You can work on your negotiating skills by taking an online course or reading a book on the subject. 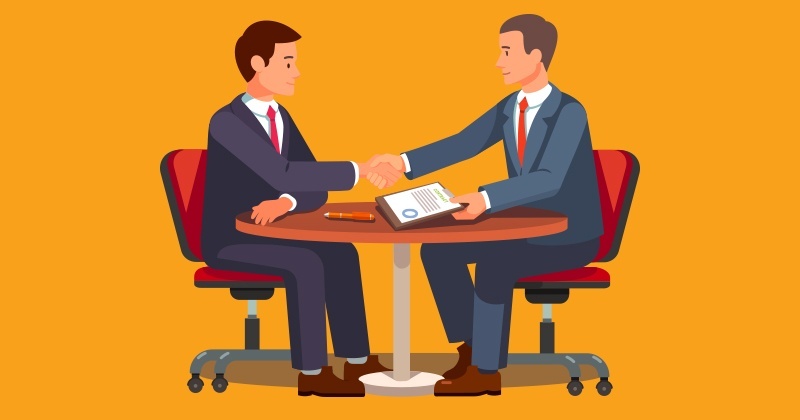 There are a variety of different techniques that can teach you how to handle any negotiations you might find yourself in. With these skills, you can convince a buyer to purchase a home even if she has a few reservations. 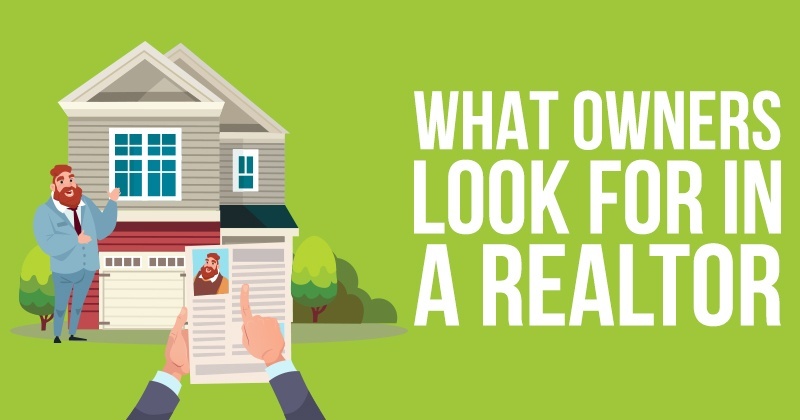 Before you even attempt to sell a home, you should understand what everyone wants. Think about the wants of both the seller and the potential buyer. It’s a two-way street, and in the end, everyone needs to be happy with the situation. Understanding the needs of everyone allows you to craft a deal that works for all parties. You won’t encounter any surprises later on that could make your deal fall through. And you won’t waste time trying to negotiate something that’s a deal-breaker for the buyer or seller. For some buyers, a pros and cons list is just what they need to make a decision. Based on what you know about a potential buyer, offer up some pros and cons of buying the property. Of course, you want there to be more pros than cons. Think creatively to come up with some pros that he might not recognize, and provide some solutions for the cons. If a buyer is hesitant to buy, you can ask her to voice her objections. By giving her a chance to explain her qualms about buying the home, you give yourself a chance to address those objections. And if she has no objections, then you can push through with the sale. From there, you can respond to her objections and resolve any problems. When you’re trying to close a deal, don’t stick to a handful of tried and tested techniques. Be willing to try something new, if you think the buyer might respond. Assuming that price is holding back a buyer can be a big mistake. Even when buyers say that they are hesitant to buy because a home is too expensive, other issues are usually the problem. Great closers do whatever they can to find the real problem and address it. There are a few common issues that arise on closing day. By preventing those issues, you can make sure your sales go through smoothly and in a timely manner. You can start by double and triple checking all of your paperwork before you meet your buyer for signing. Make sure that you aren’t missing any papers and that it’s all error-free. It’s also critical to make sure the buyer is prepared to make the payment. He needs to know exactly how much he will be paying and whose name to put on the checks. Remind the buyer that checks can be immediately cashed, so all of the finances should be ready to go. Finally, you should make sure the house is move-in ready. You don’t want any last minute repairs to put off the move-in date. Being a great closer can make you more desirable to work with, but you know what else does that? Becoming the complete authority in your market. You can do that with our My Books program.